27th July 2017, New Delhi: Land Rover today has reinforced Range Rover’s status as the world’s finest SUV with the launch of the Range Rover SVAutoiography Dynamic at ₹ 279 Lakhs ex-showroom, India. Created by Jaguar Land Rover’s Special Vehicle Operations (SVO) team, the distinct design, luxury interior and a powerful V8 engine combine to offer a more rewarding driving experience. Designed for luxury performance, the flowing lines and contemporary design of SVAutobiography Dynamic will turn heads all over the world. Unique Graphite Atlas accents, distinctive Red BremboTM branded brake calipers and exclusive wheels add to the performance appeal of the vehicle. Encapsulating luxurious comfort and style, the interior of SVAutobiography Dynamic epitomises the very best in sublime craftsmanship. 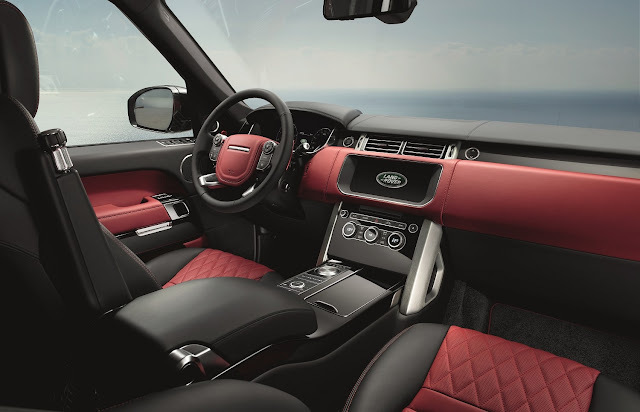 The very finest diamond quilted leathers feature within the cabin. The rotary shifter, Grand Black front and rear door veneers feature a unique red key line which reflects SVAutobiography Dynamic’s distinctive personality. 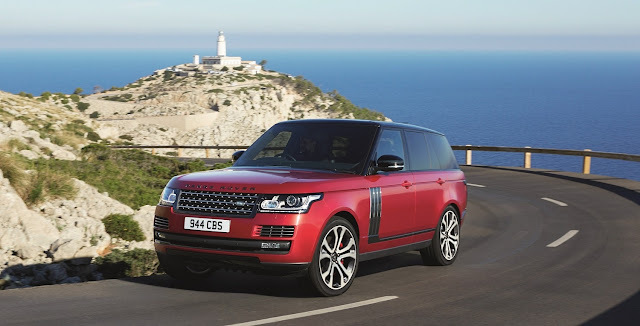 The Range Rover SVAutobiography Dynamic is the fourth vehicle to join the brand’s portfolio in India, after the Range Rover SVAutobiography, Range Rover Sport SVR and Jaguar F-TYPE SVR. Designed and engineered by Special Vehicle Operations (SVO) – Land Rover’s centre of excellence for bespoke commissions, the SVAutobiography Dynamic offers the pinnacle in performance and luxury. Jaguar Land Rover Special Vehicle Operations (SVO) Technical Centre is located in the heart of the British Midlands. The innovative facility near Coventry is the headquarters of SVO and house manufacturing, paint, technical and customer commissioning and presentation zones inside the 20 000 m2 facility. The Technical Centre is a significant representation of the growth of Jaguar Land Rover Special Operations – the specialist division of Jaguar Land Rover created in June 2014 to build a business responsible for halo car products (SVO), Vehicle Personalisation and classic car programs by Jaguar Land Rover Classic. The quality and attention to detail throughout the Technical Centre has been inspired by the exacting standards of the top level of motorsport. The workshop features a series of highly advanced workstations and has been created to enable the final assembly of SVO vehicles, by hand, to the highest possible quality. The Range Rover SVAutobiography Long Wheelbase is the epitome of sophisticated design crafted with precision and care, culminating in exquisite attention to detail. From the rear centre console with bottle chiller compartment and power deployable tables, to the unique seat design with calf support, the vehicle exudes confidence and a calm, collected air. Range Rover Sport SVR is the world’s most capable performance SUV that is even more exhilarating. This is immediately apparent in the SVR design, with the vehicle’s muscular, broad shouldered stance being the perfect complement to its performance and handling. Large air intakes in the front bumper increase airflow to the two charge air coolers whilst the rear spoiler increases down-force at high speeds. F‑TYPE SVR is a car that truly raises the bar. Its state-of-the-art materials and advanced aerodynamic design push F‑TYPE beyond the extraordinary. Reconfigured aerodynamics and an active carbon fibre rear wing reduce drag for outright speed, while reducing the lift coefficient by 45 percent for even greater stability through corners. F-TYPE SVR is powered with a 423 kW V8 engine that does 0-100 km/h in 3.7 s (second). It has been made lighter, more powerful, more aerodynamic and, as a result, faster. The Land Rover range in India includes the Discovery Sport (starting at ₹ 40.04 Lakhs), Range Rover Evoque (starting at ₹ 42.37 Lakhs), Range Rover Sport (starting at ₹ 89.44 Lakhs), Range Rover (starting at ₹ 158.65 Lakhs). All prices mentioned are ex-showroom prices in India.